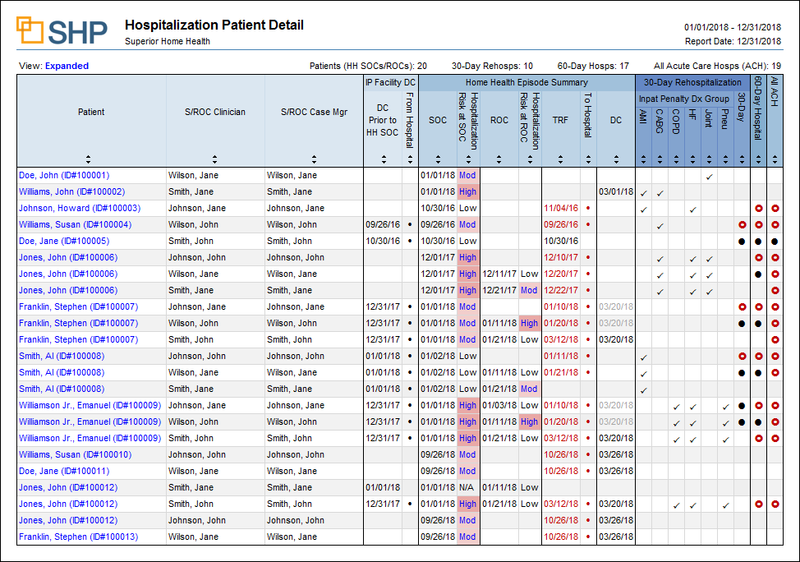 We are excited to announce the release of the Hospitalization Patient Detail report to our SHP for Agencies customers. This powerful new report provides a complete picture of the home-health stay for any patient, including: hospitalization risk, transfer history, and discharge details, with one row of data for each SOC/ROC to any available Transfer/Discharge. Also included are indicators for 30-Day Rehospitalizations, 60-Day Hospitalizations, Emergent Care, Hospitalization outcome details, and more. For more information on this or any other SHP report, please contact our Support Department.